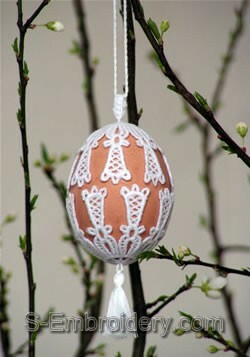 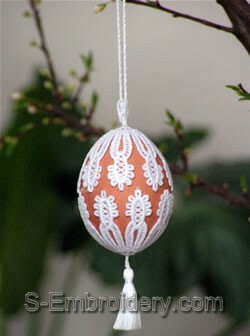 A fine set of 5 elegant freestanding lace Easter egg covers. 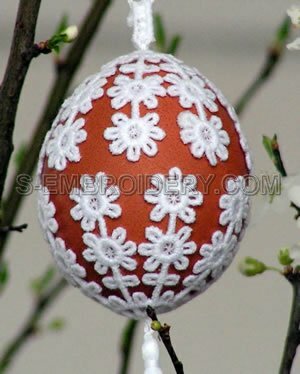 Each lace embroidery design from the set consists of 2 parts - each in a separate file, so that it will fit in 4x4 hoops. 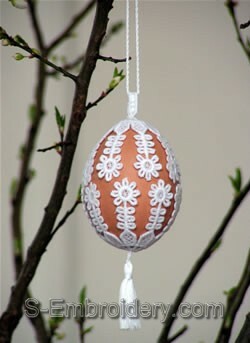 These freestanding Lace Easter egg covers are designed so that they are easy to fit nicely regardless of the variations in the size of the eggs you have. 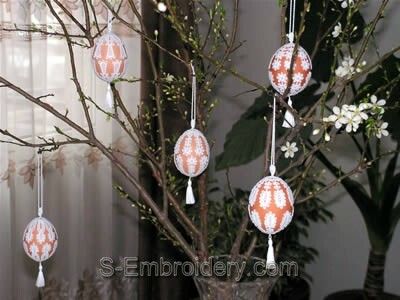 Detailed images of all designs are available further down this page. 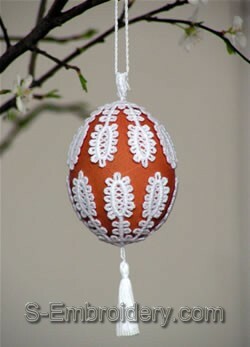 All parts have generally the same dimensions - a size of 3.38 x 3.38 inches (85.8 x 85.8 mm). 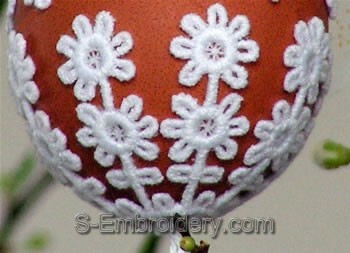 The stitch count is between 13,318 and 15,889 stitches per embroidery file.